"When a con artist approaches an older person, they're looking for a social vulnerability—someone who is open to having a conversation with a complete stranger," said Boyle. Then the older person must interpret that stranger's intentions and emotions, with little else to go on, in deciding whether to believe what they're peddling, she explained. Boyle turned to data from the Financial Industry Regulatory Authority, which operates a fraud "risk meter," to determine behaviors that could signal scam vulnerability—things such as answering the phone when you don't recognize the number, listening to telemarketers, finding it difficult to end unsolicited calls, being open to potentially risky investments and not realizing that seniors often face financial exploitation. And the rise in elder fraud has reached such a level that investment firms now are supposed to ask customers for the contact information of a "trusted person" they can alert if they suspect a case of financial exploitation. Just last week, federal agents broke up a Medicare scam that sold unneeded orthopedic braces to hundreds of thousands of seniors. And every tax season the government warns people not to fall for phone calls from IRS impostors—that agency won't call for payment. 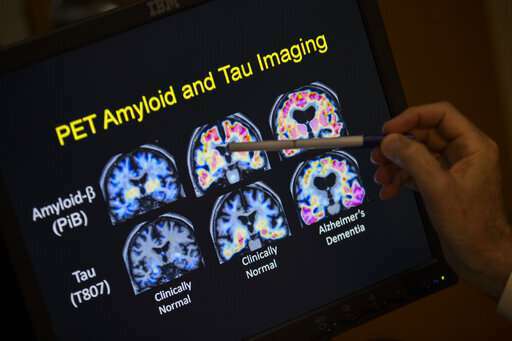 So my brain amyloid level is 'elevated'—What does that mean?